The Employee Retirement Security Act (ERISA) was enacted by the US Congress in 1974 in an effort to protect employee benefits including health, pension, vacation, disability and other benefits. It is unfortunate that some employers and plans do not comply with these regulations. When that happens employees should seek the advice of an ERISA attorney. We are located in Denver, Colorado and we can help you with your long term disability claim, or other ERISA claim. The ERISA regulations cover benefits of employees who work in private industry, and who receive their benefits as an employment benefit. It does not cover plans maintained by churches for their employees, plans established by government agencies or plans maintained outside the USA on behalf of non-resident aliens. It also does not cover unfunded excess benefits or plans that are maintained for the sole purpose of acting in compliance with disability, workers compensation or unemployment laws. It is the responsibility of the individual employee to determine whether or not their benefits are covered by ERISA. The Act requires companies to keep employee benefits separate from their trading assets. It also requires that employers make sure pension benefits are completely funded. The Act is also designed to ensure that employee pension funds are protected from a firm’s creditors in the event they declare bankruptcy. If an employee suspects abuse or mismanagement of fund assets, they are empowered by the Act to take the administrators of the plan to court. In this case, the employee would be advised to consult an attorney who specializes in this area of federal law. The Act requires firms to make sure their employees are fully and clearly informed about their rights to retirement benefits. It lays out the responsibilities of the employers and the rights of their employees concerning benefit plans that were created after the 1st of January 1975. If an employee needs help comprehending or complying with the Act, they should seek out a specialist attorney. The Act is not restricted solely to retirement benefits. It also covers disability insurance that is designed to help the employee continue to receive an income if they become ill for a long time or if they suffer an injury. Companies will occasionally reject claims outright or else make it awkward for an employee to pursue such a claim. 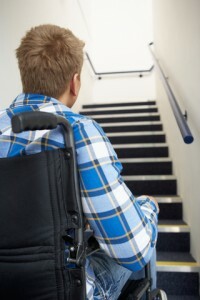 In the course of applying for a disability insurance claim, the employee has to demonstrate not just that they are suffering from a medical condition, but that the condition is keeping them from performing the duties required of their job. When this happens, specialist legal advice should be sought. This is a very specialized and complex area of the law. Vacation pay is also covered by the 1975 Act. Vacation hours are accrued based on length of service, level of employment and the number of hours worked. The maximum rate of accrual is 13.3 hours per month for salaried employees, who may carry over one year’s worth of accrued vacation hours from one year to the next. Employees who are paid hourly accrue vacation time at a rate of 6.67 hours per month and may carry over 80 hours to the next year. Employees are also entitled to be paid for unused vacation time in the event their employment is terminated, regardless of whether or not such termination was voluntary. This is a highly complex area of federal law. Always seek advice from a qualified legal practitioner. The fine print: As an important formality, be aware that we do not represent any person until we both agree in writing that we will represent you. This article is for basic information only to generate discussion, and does not constitute legal advice. We give legal advice only in the office by appointment. Meeting all time limits and deadlines imposed by the law remains your responsibility until we have a written agreement.